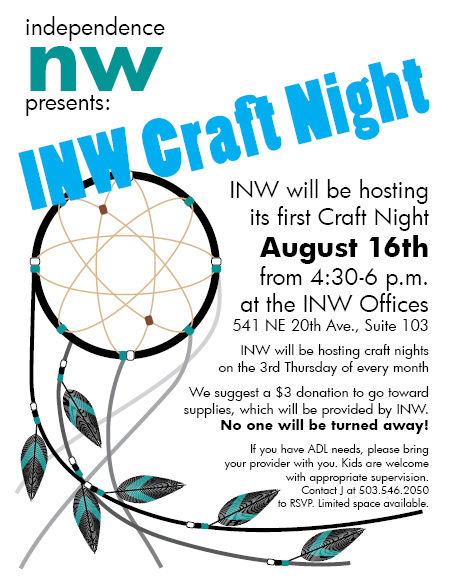 INW will be hosting its first Craft Night on Thursday, August 16th from 4:30pm to 6:00pm at the Independence Northwest offices. INW will be hosting Craft Nights on the 3rd Thursday of every month. If you have personal care support needs, please bring a provider or support person with you. Kids are welcome with appropriate supervision. Please RSVP by calling J at 503.546.2950. Limited space available. RSVP required.